Jurys Inn Brighton won ‘Warmest Welcome’ at the 2018 Brighton & Hove Hoteliers Awards. Jurys Inn Sheffield named the UKs Most Female Friendly Hotel in 2018 by leading travel management company Corporate Travel Management (CTM). Rachel Davies at Jurys Inn Birmingham won the Best General Manager at the Midlands Food, Drink and Hospitality awards. Evita Lama at Jurys Inn Birmingham won the Best Restaurant Manager at the Midlands Food, Drink and Hospitality awards. 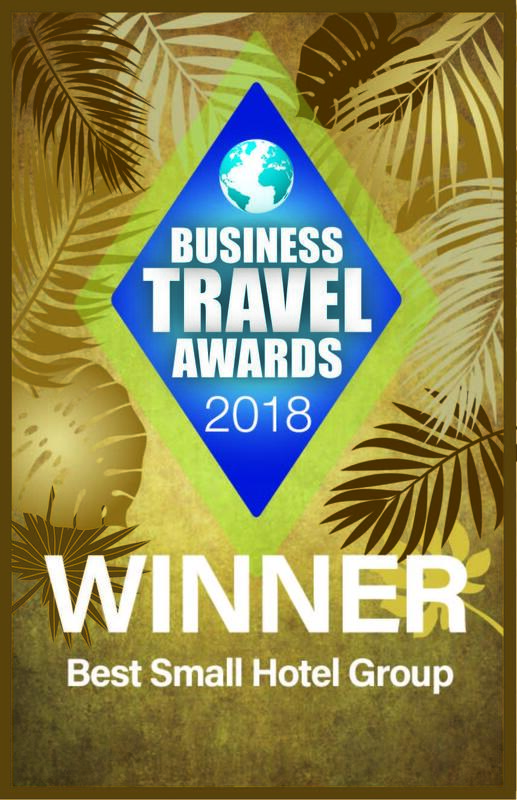 Winner of Best Small Hotel Group at the 2018 Business Travel Awards. Jerome Presenti at Jurys Inn Brighton Waterfront won 'Ambassador for Customer Service Award' at the 2017 Brighton and Hove Hotelier Awards. Rae Davis at Jurys Inn Brighton won 'Unsung Hero' at the Brighton and Hove Hotelier Awards 2017. 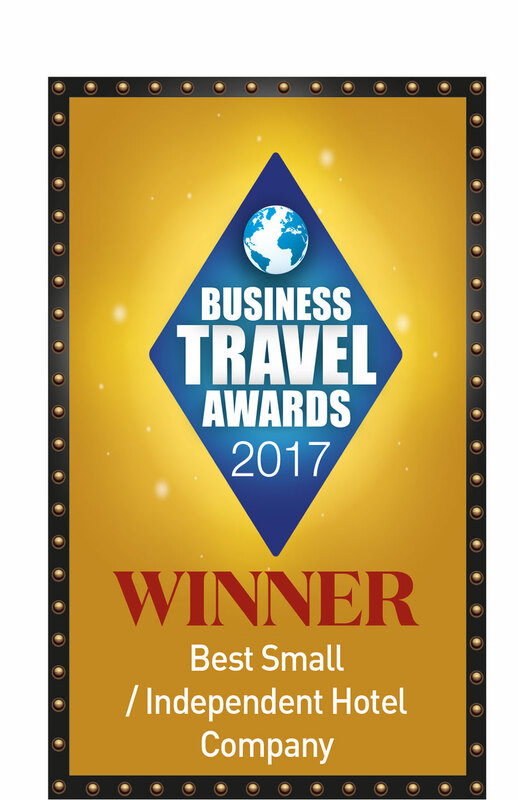 Jurys Inn won Best Small Hotel Company at the 2017 Business Travel Awards. Jurys Inn Brighton won 'Best Breakfast' at the Brighton and Hove Hotels Association Gala 2016. Jurys Inn Brighton won 'Property of the Year' at the Brighton and Hove Hotels Association Gala 2016. Winner of the Best Midscale Hotel Brand in the 2016 Business Travel Awards. Winner of the Best Small Hotel Company at the 2015 Business Travel Awards. Bronze award for Best Mid-Scale Hotel Group of the year in the British Travel Awards 2014. Silver award for Best Learning Management System Implementation at the 10th Annual e-Learning Age Awards 2014. Jurys Inn Brighton has achieved highly commended in 'Access for All' (Beautiful South Awards), 'Access for All' (Visit England Awards), Best Environmental Industry Company (Brighton & Hove Business Awards) and Large Hotel of the Year (Beautiful South Awards) in 2014. Won silver at the World Responsible Tourism Awards in the Best City Hotel Category. Jurys Inn won the best independent Business Hotel or small group at the Business Travel Awards 2012. Jurys Inn NewcastleGateshead Quays shortlisted for Best Hotel Design at the 2011 Northern Design Awards. Jurys Inn Edinburgh shortlisted for the Sustainable Award at the 2011 Chamber of Commerce Awards as they won the Regional Sustainable award for Scotland in October for a second year running. Jurys Inn Brighton won The Responsible Business Award at the 2011 Brighton and Hove Business Awards and received a Gold Sustainability award at the 2011 Beautiful South Awards. Jurys Inn Islington Finalist for Environmental Responsibility and Retail/Hospitality Service Provider of the Year Award at 2011 Camden & Islington Business Awards. Jurys Inn Milton Keynes won the Excellence in People Development award at the 2011 Milton Keynes Business Excellence Awards in October. Jurys Inn Sheffield won 3 awards at the Hospitality Sheffield awards in October - John Senior won the Unsung Hero Award, Lee Twidale won the Customer Service Award and Katie Snape was a Runner-up in the Rising Star Category. Jurys Inn won the Best small or Independent Hotel Brand at the Business Travel Awards 2011. Jurys Inn Croydon was runner up and highly commended as Best Business for Sustainability at the 2011 South London Business Awards. Jurys Inn Sheffield was chosen as the official Training Hotel by Coalition partner The Liberal Democrats for their Spring Conference in Sheffield, March 2011. Alison Turner, Cluster Revenue Manager at Jurys Inn Nottingham won Outstanding young manager at the 2011 Nottinghamshire STARS awards. Scottish Premium Budget Hotel Award – Jurys Inn Glasgow - Scottish Hotel Awards 2011. Reception Team Award – Jurys Inn Glasgow – Scottish Hotel Awards 2011.
Business Performance Gold Medal 2011 – Jurys Inn Edinburgh – Scottish Hotel Awards 2011. Rising Star Manager Medal 2011 – Jurys Inn Edinburgh, Claire Livingston. The Labour Party chose Jurys Inn Liverpool as their main conference hotel for Ministers, MPs and delegates in September 2011. Coalition partner The Liberal Democrats chose Jurys Inn Liverpool as their main conference hotel for Ministers, MPs and delegates in September 2010. Jurys Inn Edinburgh won The Green Award for Scotland in the 2010 Chamber of Commerce Awards. Jurys Inn Newcastle won a Silver Award at the North East England Tourism Awards for Sustainable Tourism. Jurys Inn Liverpool won a Silver Award for Sustainable Tourism at the North West Visit England awards. Jurys Inn Southampton was awarded a Silver Award for Sustainable Tourism at the South East Visit England awards. National Gold award for Outstanding Customer Service won by Christina Dixon, Jurys Inn Liverpool at the Enjoy England Awards for Excellence 2010. Best Independent Hotel Brand 2010 at the Business Travel Awards. In January 2010, Jurys Inn became the UK's First Green Hotel Group as recognised by the Green Tourism Business Scheme. Eco Hotel Group of the Year and Scottish Eco Hotel of the Year (Edinburgh) at the Scottish Hotel Awards 2010. Jurys Inn Liverpool won the Sustainable Tourism Award at The Mersey Partnership Tourism Awards 2010. Jurys Inn Aberdeen was named Scottish New Hotel of the Year and Aberdeen City Hotel of the Year at the Scottish Hotel Awards 2010. Jurys Inn won the Best Small or Independent Hotel Brand at the Business Travel Awards 2010. Jurys Inn Glasgow was awarded Premium Budget Hotel of the Year at the Scottish Hotel Awards 2010. Most Improved Business Brand 2009 based on the results of BDRC's annual British Hotel Guest Survey. In 2009, Jurys Inn Islington won the ‘Council Annual Giant Green Business Awards’. In 2008, Jurys Inn Glasgow won the ‘Chamber of Commerce Award’ and ‘Scottish Budget Hotel of the Year’. In 2007, Jurys Inn Cork won ‘Gold for Green Fáilte Environmental’ Award. In 2007, Jurys Inn Glasgow won ‘Scottish Budget Hotel of the Year’, ‘Best Scottish Housekeeper of the Year’ and ‘Gold for Level Green Tourism Award’. Brighton, Green Person of the Year at the 2012 Evening Argus Achievement Awards. Jurys Inn Islington Finalist for Environmental Responsibility at 2011 Camden & Islington Business Awards. Jurys Inn Liverpool won the Sustainable Tourism Award at 2010 The Mersey Partnership Tourism Awards. In 2006 Jurys Inn Cork won ‘Gold for Green Fáilte Environmental Award’ and ‘Best Hotel in the City Category’.